As a Club member you receive our quarterly newsletter with inspiration to help you exchange more, learn more and do better. Sign up today to get our Club newsletter straight to your inbox. Exchange more, learn more, do better. Join our international network of over 2,200 professionals. Just press the sign-up button to get started – it’s free! Watch a selection of video presentations from our miniconferences in The Social Business Club. 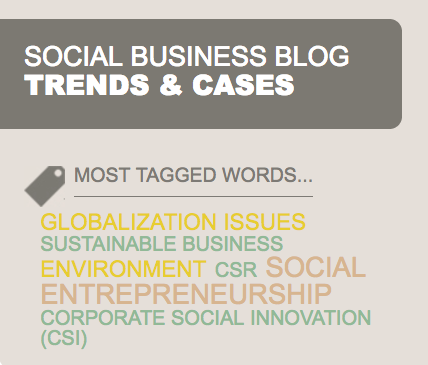 The Social Business Club hosts miniconferences in Copenhagen. Here members have the opportunity to meet, network and learn more about a sustainability and social business-related theme, and to hear the stories and real-life experiences from practitioners in the field. Get the key take-aways from our last two miniconferences and watch the full video presentations here. You can also get more key points from the miniconference in our blog post here.